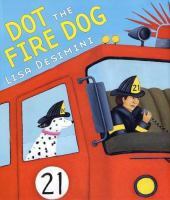 Follow a team of firefighters through a busy day with Dot, their Dalmation mascot, as your guide. Learn about life at the firehouse, race in the firetruck to the fire, and experience exciting rescues. Brilliant oil paintings bring Dot's world among the firefighters to life. Dot's fire safety tips, included in the back of the book, offer great opportunities for discussion with children. Meet Matt, a little boy who is obsessed with fire trucks. In fact, Matt loves fire trucks so much that one day he awakens to find---he has become a fire truck! Follow Matt’s adventures as he zooms around the house performing a fireman’s duties and discover the one thing that makes him stop being a fire truck. 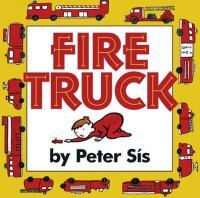 Simple illustrations and a foldout of Matt’s fire truck should delight toddlers and preschoolers, as well as anyone who loves fire trucks. A is for alarm that rings loud and clear. B is for boots stowed in our bunker gear." 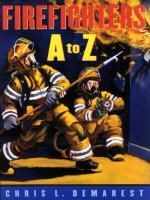 This rhyming alphabet book shows a day in the life of a firefighter. Action-packed illustrations bring firefighting to life. Firefighters are shown knocking down walls, using ropes and ladders, and resting after a long day. A great place to learn about the serious and exciting life of a firefighter. Readers will enjoy following the adventures of Fireman Small as he is called to save a cat in a tree, a bunny in a well and other animals, too. 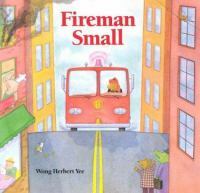 The lively rhyming text will hold children's attention as Fireman Small springs into action time and time again. Children can act out the motions when Fireman Small returns home each day and "closes the curtains, gets in bed and pulls the covers over his head." The bright and colorful illustrations work harmoniously with the text to create this fun read aloud. Online ActivityWhat Should Fran Wear?